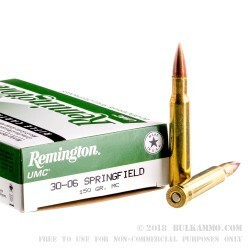 You can call it a bargain 30-06 round, but then you have to admit it’s an exceptional value, because this American made Remington UMC .30-06 Springfield ammo is very solid on all fronts. 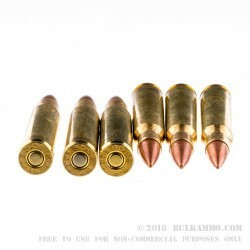 The 150 grain weight is a good versatile load for the .30-06 and allows you to hunt game from hog to elk. Particularly interesting during the deer season, the 150 grain load is about the sweet spot for that game with this cartridge. It’s a good round for scope work, range duties and paper punching, but it’s a good round in the field too. This round is more a lesson in moderation than it is an exercise in power. The .30-06 is known for having true power behind it, but in deer season it’s always been a bit much. 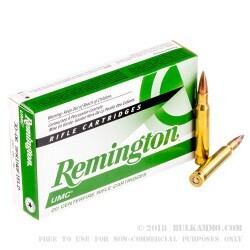 A 150 grain projectile in a middle of the road load from a brand like Remington with a good solid line like the UMC cartridges is a very appropriate round for such a time of year (deer season). It’s made to a nice specification without pushing limits it doesn’t need to. 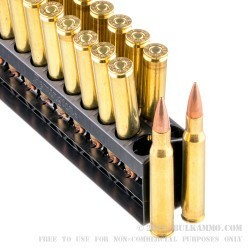 It’s priced well; it offers good ballistics and it doesn’t try to be something that it’s not.